In case you haven't seen, Patreon just announced it's not going to implement the fee changes proposed last week. Thanks to everyone who made their concerns known and thanks to Patreon for listening! While the damage from this kerfuffle has been significant with $1-2 tier patron loss for many creators, I have hope that Patreon will do good on its promise to involve the community more with any future changes. Creators were notified of this yesterday and all patrons are supposed to be notified of this change today. Needless to say, this announcement was NOT well received by the creator community, myself included. But wait, why? Doesn’t this mean the creator receives a larger amount of their pledges? Isn’t that good? While it’s true the creators will receive more, many fear that this new fee structure will drive away the lower tier pledges. This is a HUGE deal to most creators since that’s where a large percentage of our Patreon income comes from. So in the end, creators are worried that the loss of patronage from this change will not only completely undo any benefit, but is generally a poopy thing to shove onto our wonderful generous patrons. Were the creators consulted at all before this change was made. No. At least, I wasn’t contacted for my opinion on the matter. The overwhelming response from the creator community--from what I’ve seen--is that we would rather eat the fees for this service than have that piled onto our supporters. While I’m sure there are plenty of supporters that want their creators to get more, and are okay with taking on the fees, there are a lot of patrons that have a strict budget and this change will force them to remove support. From a business standpoint, Patreon has grown A LOT recently and this year it was announced that it acquired $60 million in series C funding with an estimated company value of $450 million. This is quite the funding for a young company and no doubt there is significant pressure to push up its revenue as much as possible as a result. Should they have eased the fee adjustments in much smaller changes with more community feedback? Yes. So much yes. So... what can you do to help if you are a Patreon patron? Contact Patreon and let them know what you think about this change. If you choose to remove or reduce your pledge because of this change, I completely understand and support your decision. Also, please let me know if there is anything I can do on my end. Assuming Patreon goes through with this plan, at this point, I’m not sure what action I’ll take. Tier adjustments as an attempt to compensate patrons? Moving to a different platform? Providing multiple platform options? And now I also feel I have to second and third guess my plans as this whole thing just makes Patreon campaign promotion feel super sleazy. That being said, thank you so much for all your support whether or not you support me on Patreon! Here's hoping it all works out in the end. Greetings all! I will be at Geek Girl Con in Seattle this weekend. 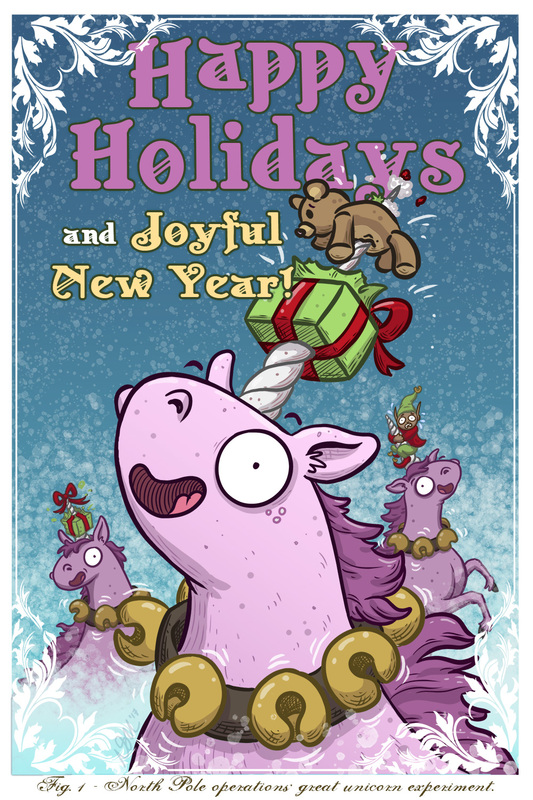 I'll be hanging out on the exhibitor floor, table G118. A corner table! Fancy! If you're attending, please stop by and say hi, just look for the giant Pallas's cat. Hey everyone! 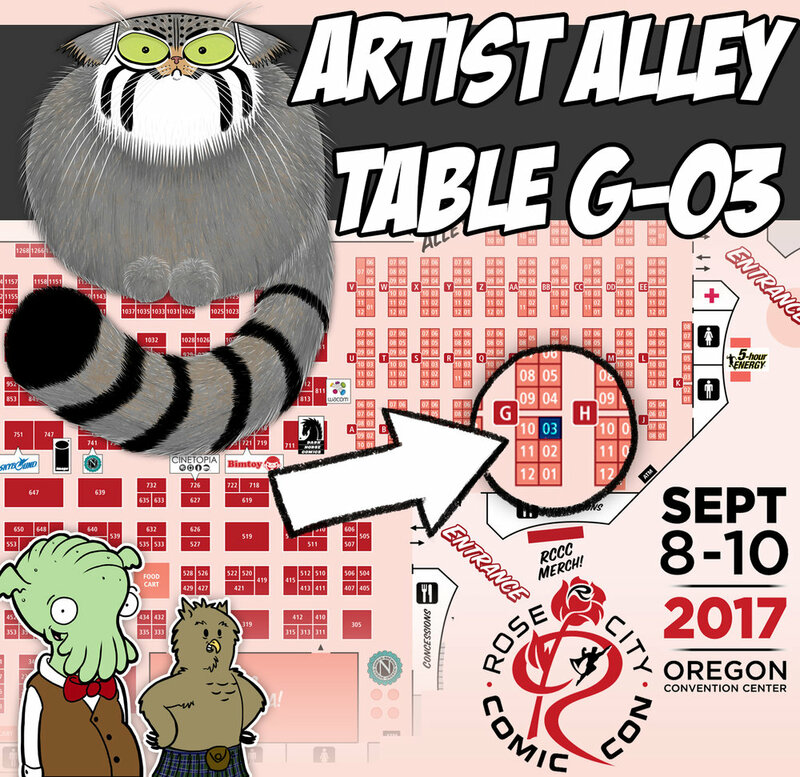 I will be at Rose City Comic Con this weekend, Artist Alley table G-03! Come by and say hi!